Hi there! My name is Lennert Kemper, born on December 30th, 1991. 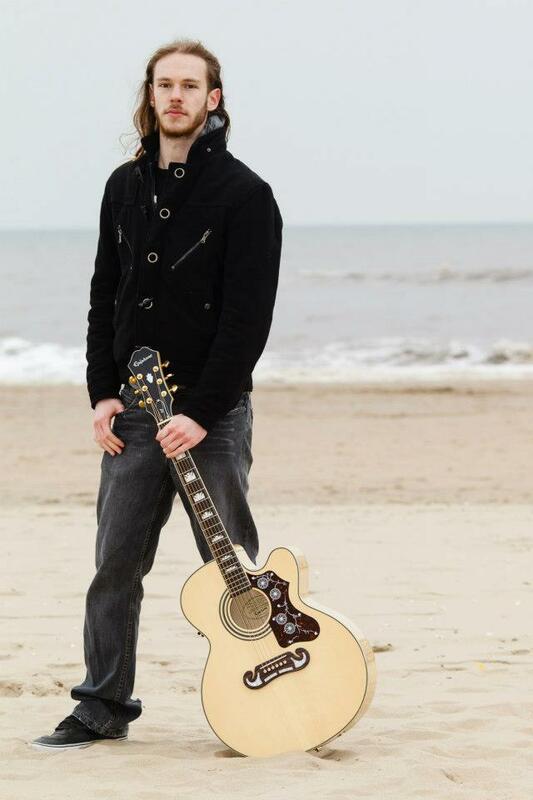 I am a professional guitarist, composer, teacher, performer and recording artist from The Hague, the Netherlands. Being brought up in a creative and music-loving family (of which some musicians) and taking a year of percussion and big-band lessons in primary school, my obsession with music started at a very early age. It wasn’t until I was 14, however, when I started playing guitar. I have studied with multiple talented teachers, including Rik Fennis, Fredo Wagner and Phil Cosby. I did a conservatory preliminary program at the Malcolm Davies Music Centre in The Hague. Later, I specialized in Music Education for my Bachelor’s degree. In addition, I joined my first band at age 15 and have never stopped playing in bands since. Over the last 10+ years, I have recorded, written and toured internationally with several bands and projects in a multitude of popular music styles, either as a permanent member, band leader or as a session guitarist. These include Dreamwalkers Inc., ReSolve, Kristoffer Gildenlöw (ex-Pain of Salvation), Dan Pierson, Heidevolk, various singer-songwriters, pop bands, cover bands and local television stations. I have been teaching both electric and acoustic guitar since 2008. I have taught hundreds of students between ages 5 and 70+, from absolute beginners to aspiring professionals. My specialty lies with rock and metal, but I also teach blues, pop, funk, folk and basic jazz. I also offer in-depth tuition in applied music theory, ear training, songwriting and band workshops. As a teacher, my goal is to make a difference in people’s musical lives. I have found teaching to be one of the most fulfilling aspects of my life. I have taught both in private and group lesson formats, in person at several local music schools and in my own teaching studio in Voorburg, the Netherlands, as well as online through Skype worldwide. I’m currently available for lessons, both in person in Voorburg, Gouda and ‘s-Gravenzande (the Netherlands) and on Skype! For more information and testimonials from (former) students and parents, click on the “Lessons” tab above. Also feel free to get in touch with me!